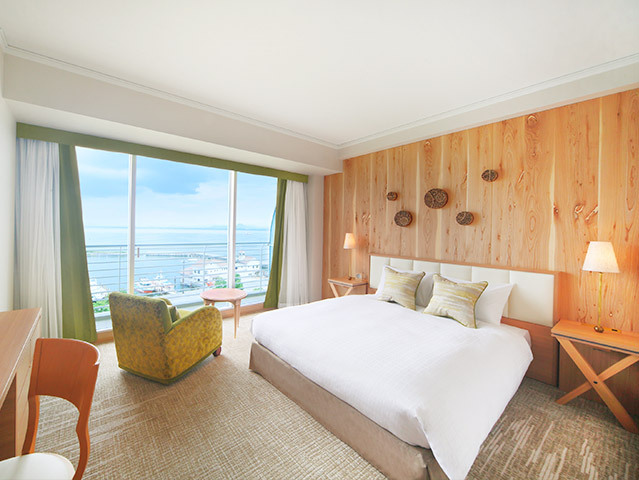 After a satisfying stroll along the lake, it’s time to unwind in the comfort of your room. 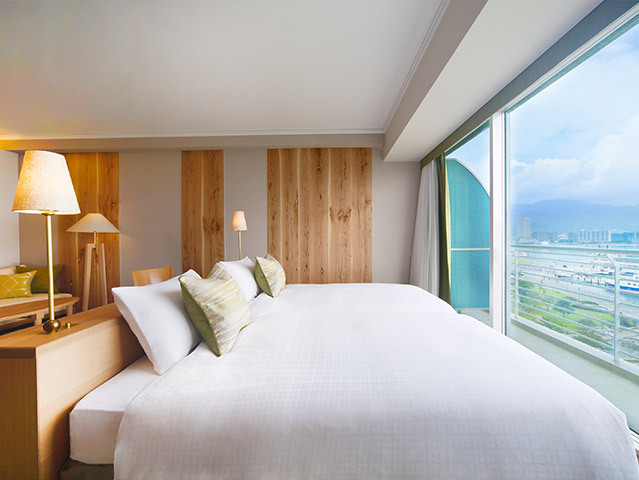 The peaceful location and tranquility promise a calm resort stay. 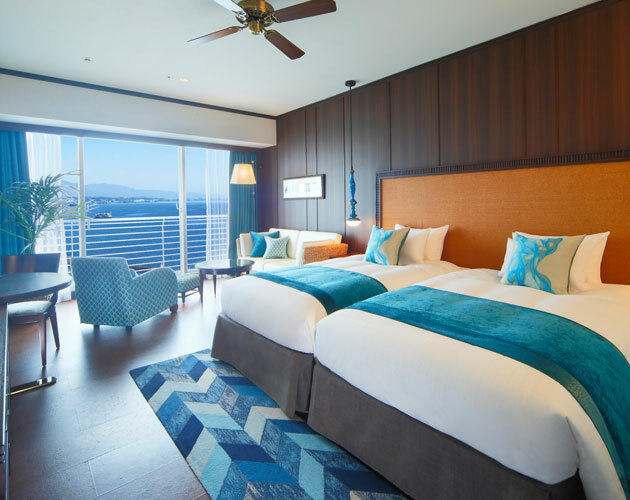 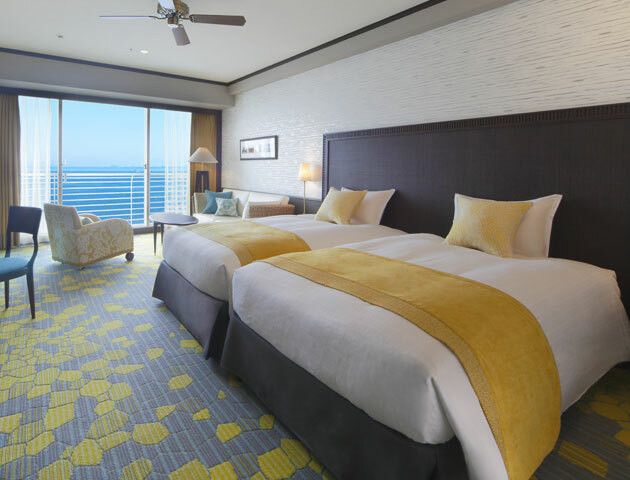 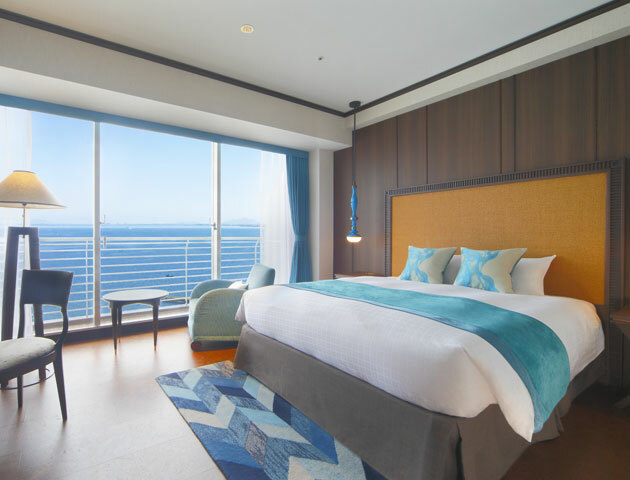 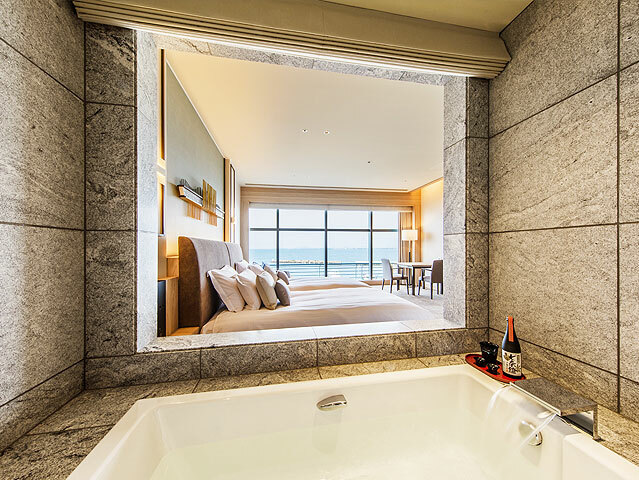 “Vista” is our Premier Luxury Floor with four rooms in all,each featuring an “airy bath” with a view of the scenery beyond the bedroom.Enjoy a local Lake Biwa experience as only available here. 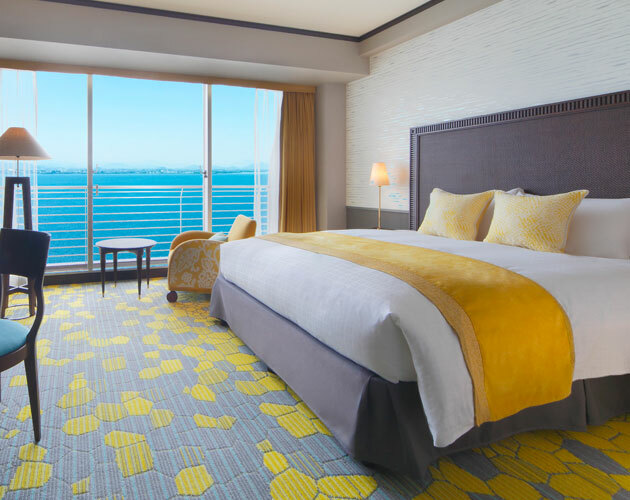 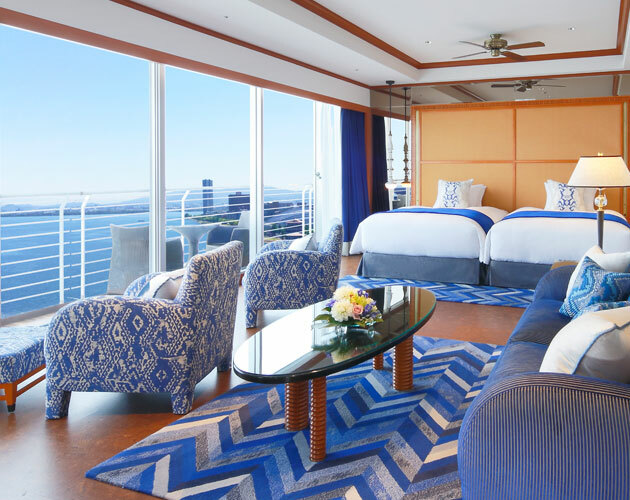 Home to our highest grade of guest rooms in the hotel, the floor adopts a watery theme with shades of cobalt blue to create a special atmosphere to distance you from daily living. 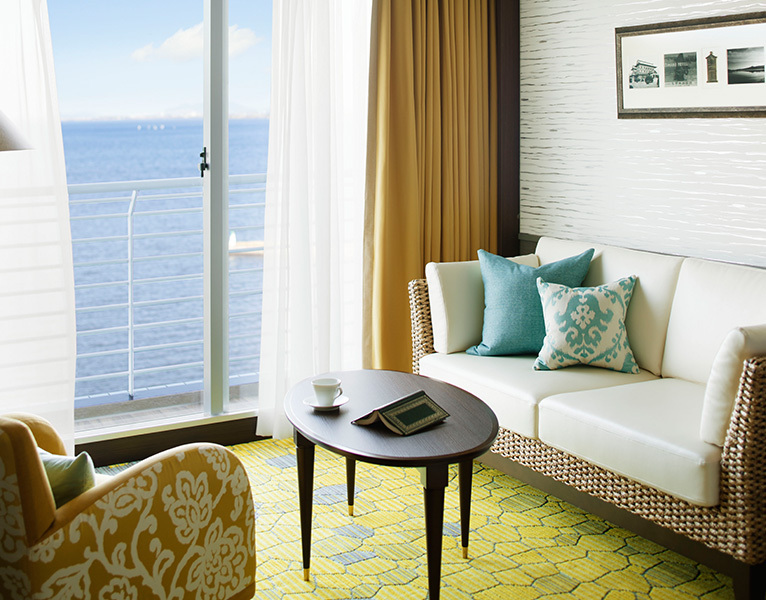 Touches of canary yellow based on the theme of light, radiance, and dazzle give you brightness and energy as well as plenty of room to stretch out. 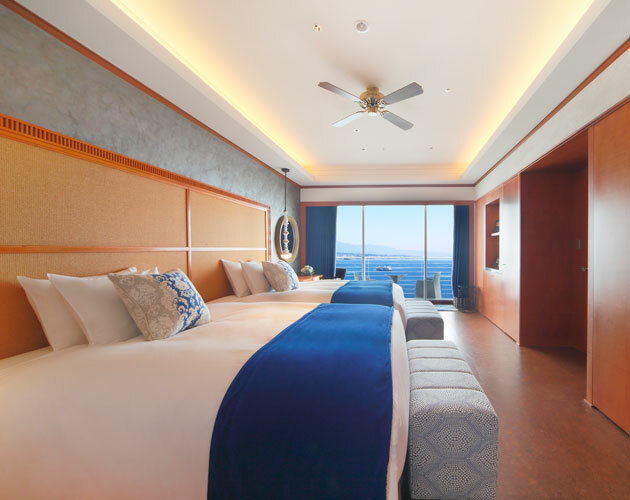 Stay in comfort in the simplicity that maximizes the natural view as if you were relaxing with family and friends in your holiday home.